I am doing what I love in life. In esthetics I have found what truly makes me happy and brings health and well being to others. I enjoy working with my clients to care for and rejuvenate their skin, because “Healthy skin is radiant beauty”. Molly is a Licensed Esthetician in California and Washington State. She has total confidence in the Bioelements product line and her knowledge and skills from years of training through the Conservatory of Esthetics. 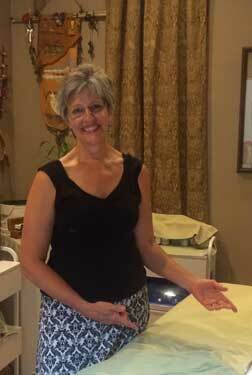 Molly attends esthetician training through the United States annually so that she can bring back the latest knowledge and techniques to her Yakima skin care studio to help her clients achieve their goals. Molly has achieved the “World-Class Esthetician” status with Bioelements and receives annual advanced training at the Conservatory of Esthetics. Call Molly today at (509) 575-4555 to make an appointment in her Yakima Skincare Studio for esthetician services and treatments.